Fourteen-year-old Nessa lives in a world where every teen will be "Called". It could come in the middle of the day, it could come deep in the night. But one instant she will be here, and the next she will wake up naked and alone in the Sidhe land. She will be spotted, hunted down, and brutally murdered. And she will be sent back in pieces by the Sidhe to the human world...unless she joins the rare few who survive for 24 hours and escape unscathed. A unique vision of a truly horror-filled place and situation. The despair is palpable and it's just as hard to listen to as it is impossible to stop. Excellently crafted and paced. 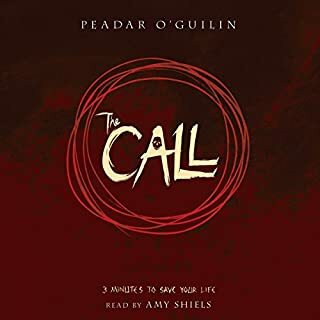 The narrator's thick Irish accent is perfect, even if some of the voices were indistinguishable. Like nothing else I've come across before. Brandon Sanderson is the master of concealed foreshadowing. It is a rare skill and a joy to experience. I cannot praise this whole series high enough. Ten stars! There must be vast tracts of this planet completely devoid of imagination for so much to be invested in this single author. The Way of Kings is a slow boil, but it's rarely slow. 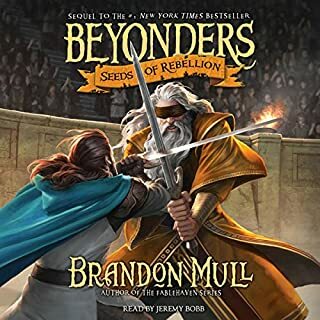 The characters of Caladan and Shallon are both pretty messed up, and it's a little difficult sometimes to listen to their various tragedies, but it's a massive puzzle being fit together one piece at a time, and like in the Mistborne trilogy things that seem insignificant reappear later in unexpected ways. 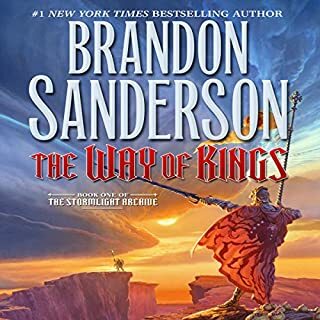 Brandon Sanderson is a master story weaver, better by far than any I've encountered in a long while. Michael Kramer and Kate Reading are are absolutely outstanding as the story switches perspectives between Caladan and Shallon. There's only a couple of places where I didn't immediately know who was speaking, even with a large cast of supporting characters. Both imbue their characters with tremendous humanity. It's a joy to listen to them work. 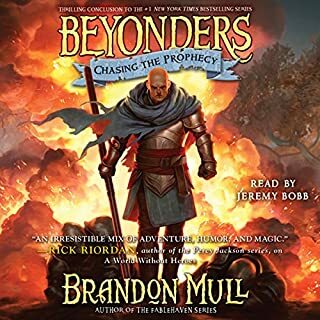 I'm nearing the end of book 2 right now, and it is truly amazing. But I must say I'm extremely disappointed to have to wait a year (possibly two) for the next installment (conclusion? 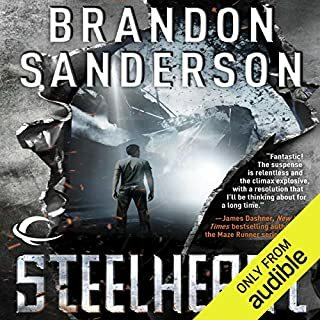 ), even if that means I'll get another Steelheart installment in the mean time. Even unfinished, the Stormlight Archive is already a classic. It takes great skill to keep a story this fast-paced from beginning to end and still develop solid, dynamic characters. The plot twists were solidly built but still managed to be surprising. The author also managed to build a solid alternate world and make its illogic work by simply acknowledging it. I won't summarize the plot. Suffice it to say it's a fantastic, unique action/sci-fi/thriller that's very accessible. Great work from first word to last word. My only disappointment: I got through it too fast. But that's on me--I listened at every opportunity, and even made some opportunities to listen. I don't do that with most audiobooks. The reading was also outstanding, with each character getting distincting voices and a solid narrative. 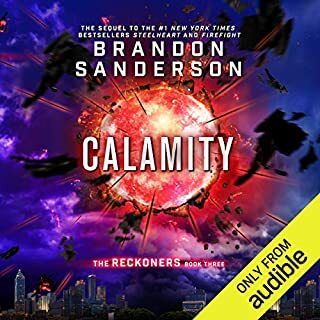 I will definitely be checking out the rest Brandon Sanderson's works. The time and effort spent getting to the end of the story is untimately rewarded. Not only is the conclusing satisfying, it validates both lead characters and their contributions, and the story could not have reached its conclusion without both of their contributions. It was well-balanced. A few of the sidekicks also turn out to make significant contributions as well, which was a nice surprise. One word of warning: If you ever find yourself in Lirian, being a sidekick in someone else's tale can be hazardous to your health. The conclusion was a lot better than I was expecting, given the extent to which a single substance began to be the go-to problem-solver. However, it was a clever solution, and the foreshadowing was subtle enough that we didn't see it coming. Rachel's contribution we saw coming, we just didn't quite expect the way it would play out. A very satisfying conclusion to a clever story, even if it got a bit slow in the middle. Overall: worth the time and credits. The first book was a complete story. This second book marks the first of a two-part sequel. Both the good and the bad elements of the first book also apply here, save the party becomes more well-defined, and a lot of the threads left hanging from the first book come into focus as the larger story starts to move forward. Like all fantasies, there's a lot of travel going on. The biggest difference I think is we finally start to get an idea what Rachel's role in the story is going to be, as she was almost superfluous in the first book. The downside is she appears to have swapped roles with Jason, as he appears to be taking the "usless sidekick" role. I almost set the series down by the time I finished this book. Ultimately I was glad I didn't. 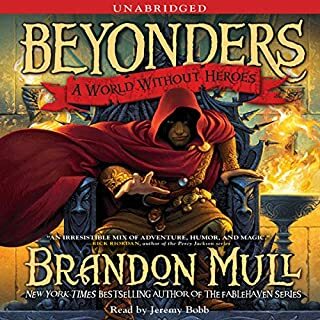 Brandon Mull is certainly in no want of vocabulary. But the world painted in this first book starts off as a pretty middle-of-the-road fantasy. What he does do is lay a solid foundation for the world and the reasons for its unusual inhabitants, even as to why everyone speaks English. The cleverness really starts to shine when we meet some of the alternate races that inhabit the land. Their abilities are well-thought-out and employed cleverly within the story. The villian, Maldor (really? ), is also a step up from the usually-faceless baddies by having some actual character, and some actual interaction with the protagonists. The books probably can also win a prize for the cleverest world-transitioning mechanism yet devised. The story is a series of puzzles that have to be solved, and some of the solutions are clever, while others are pure luck. I'm still ambivilant about whether that was good or bad. The biggest down-side was the performance. The voice-work was very well-done, with each of the primary characters given a distinct voice and manner of speach that made it easy to follow who was talking, especially later on when the party grows in number. However, there is a passive quality to the reading that really shows up in some of the action scenes, that makes it sound like we're listening to a report rather than a story. Some of that can be attributed to the passive language chosen in the writing, but much of it was due to the pacing of the reading. But despite that complaint, it was a good, original fantasy, and worth the time. I was waiting with considerable anticipation for this third book in the series. 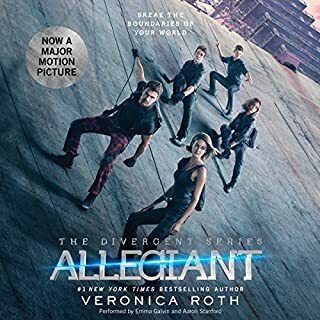 I was initially hooked by the circumstances and characters presented in the first two books, but by the third book, the level of poor decision-making skills manifested by the "heros" was just too overpowering. I won't include any spoilers, but any author needs to take a hard look at the consequences of making such a story choice to end their tale. There was no driving need to take the course that was taken. Maybe the characters we too focussed on their internal struggles to realize that there were several optional courses of action available to them that would have resulted in a much more satisfying outcome for the reader. The book started off by undermining much of what had been previously presented that made the story so compelling. And while the characters were trying to absorb these changes, they repeatedly took drastic actions based on very little information that ultimately lead to tragic results. The book began to feel like the author was using the plot to drive the characters to a place she wanted to them to be when it was all over, rather than the characters driving the plot. On a side note, I noticed this series is being made into a feature film (probably 3), but so much of what happens is the internal struggles of these characters (especially in this book), that it's going to be a challenge to put it on a screen. The readers' performances were excellent. Reading the description I expected I was going to get a human-werewolf romance (I only purchased it after listening to the sample). And while the implications of such a relationship slowly evolve, there is an enormous cultural chasm that must be bridged first. No human (who are not at the top of the food chain within this alternate universe) has ever been able to successfully bridge that gap intentionally. But it falls upon the terrified escapee Meg Corbin to accomplish it both by necessity and by accident. Not quite human herself, but certainly not one of the Others, she is forced by her circumstances to seek shelter with them. She is perhaps the only person who could ever have a chance to pierce their hatred of humankind out of pure innocence. The collective of the Courtyard (a 300-acre patch of ground in the middle of a human city) houses the requisite werewolves and vampires, but it also secrets beings significantly more powerful and terrifying. Beings no human has seen before. Beings that scare even the other residents of the Courtyard. What appears on the surface to be a run-of-the-mill romance turned out to be a compelling clash of cultures where mistrust and misunderstanding can lay waste to an entire city (and have), and one scared girl with no real-world experience can weild the most unlikely power of all: kindness. Much, much better than I expected. A compelling listen from beginning to end. 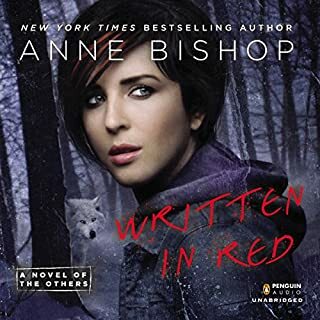 I will defineitely be looking at other works from Anne Bishop. Most Zombie novels deal with the actual fall of civilization. This one picks up twenty years later, when a (sort of) equilibrium has been restored and society continues, just with wandering zombies. This is a unique story with a perfect balance of plot, detail, pacing and characterization. 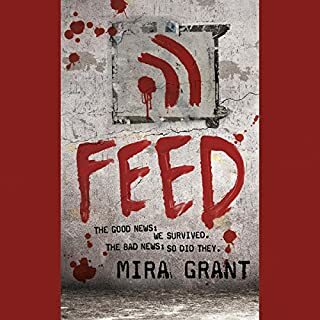 I won't spoil it by giving anything away, but this is one of the absolute best Zombie / Apocalypse novels I've read, and I've read a lot of zombie novels (who'd of thought?). Kudos to both the author and performer. Great job.